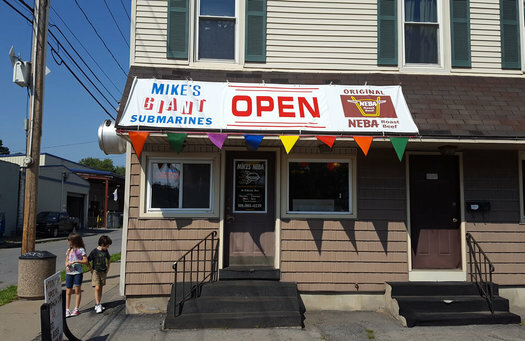 Many longtime Capital Region residents remember Mike's-Neba on Central Avenue in Albany, glistening and resplendent in neon lights. 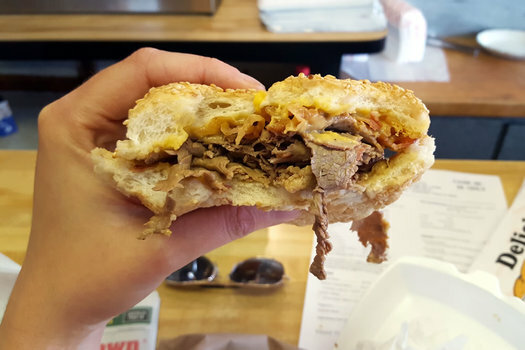 But that location closed nearly 30 years ago and while others have tried to replicate the taste of the roast beef au jus that Mike's-Neba was best known for, it ain't nothing like the real thing (baby). The family that retained the rights to the Mike's name (and roast beef recipe) opened Mike's Neba (hyphen-free) on Edison Avenue in Schenectady this summer, bringing back the classic Neba sandwich that would rival the western New York beef on weck (a staple of Upstate New York cuisine) for top billing in a round robin Best State Sandwich tournament. Neba is an acronym for "nicest eating beef around," a claim that is substantiated by perfectly seasoned meat that is sliced wafer thin and takes limited effort to chew. The meat is salted and retains hints of sweet vinegar, almost as if it were cooked in a brine. Looking at recipes online, garlic and tomatoes seem like possible inclusions in the cooking liquid for the beef. Sesame-studded rolls come from Bella Napoli's bakery in Troy. 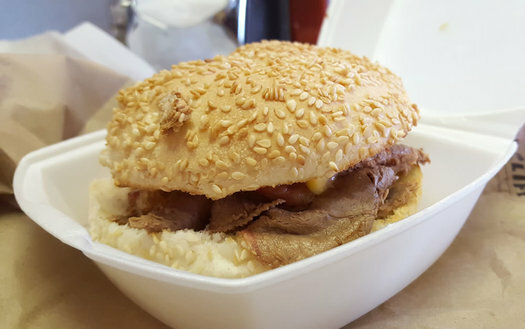 The warm nuttiness from the seeds are really what sets this sandwich apart from fast-food versions of roast beef sammies, and the texture is just soft enough to be bitten into with ease (and not torn with the teeth like a wild dog descending on fresh kill). The Super Neba is $5, sans the chips and pickle that some other sandwiches come with. My companions and I (read: my kids) also tried the small BLT sub with American cheese and a small turkey sub with lettuce and house dressing (a spicy blend of oil, vinegar, cayenne pepper, and garlic powder). We shared our sandwiches at the counter, leaving nary a morsel to take home, and watched construction vehicles pass by in this light-industrial section of Schenectady between Broadway and 890. As soon as we left, my kids asked when we could come back, further prodding the issue before bed and insisting we go back for lunch today. NEBA used to mean Never Eat Beef at Arby's. Good luck to them nonetheless. I hate roast beef but I want to stop by just for the nostalgia. Decent sandwiches, glad to have them here and I'll be going back. But no way even close to a good beef on weck or the roast beef sandwiches you can get at a place like Roll-N-Roaster in Brooklyn. Nicest Eating Beef Around was a back-formation. It was actually named for the founder, Mike Davis' dog; as he once said in a 1969 interview. And for those saying "it's an Albany thing"- the chain was huge and was in Florida even, which is where the headquarters moved to. Because Albany can't keep anything nice.